As we reflect on the last year of giving at Head-Royce, we are truly inspired by the generous display of support--both in time and resources--from our entire community: parents, alumni, past parents, employees, grandparents, and friends. 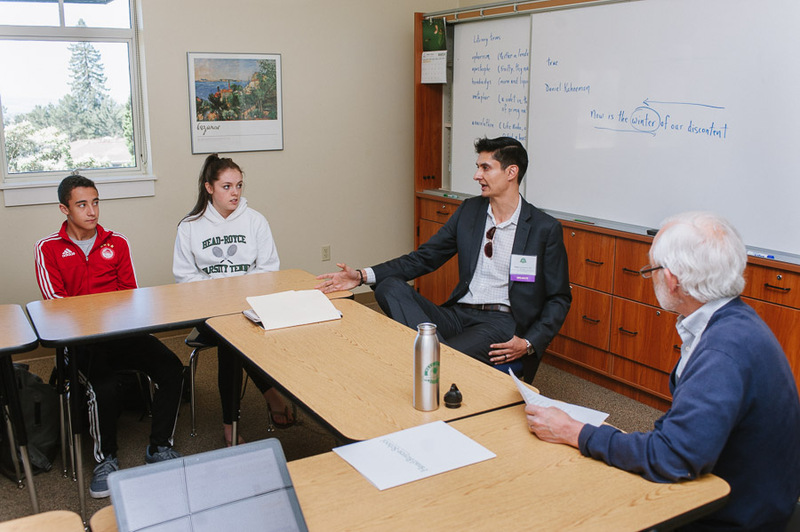 Head-Royce is a remarkable place for your children to learn, with a dedicated faculty that works hard each day to offer a transformative educational experience. Your support of time and treasure is critical in ensuring we can continue to cultivate lifelong learners who lead with joy and purpose. The 2016-2017 school year was a record-breaking year for fundraising at Head-Royce, with our community contributing over $2,000,000 to benefit our programs, faculty, financial aid, and the Heads Up program. 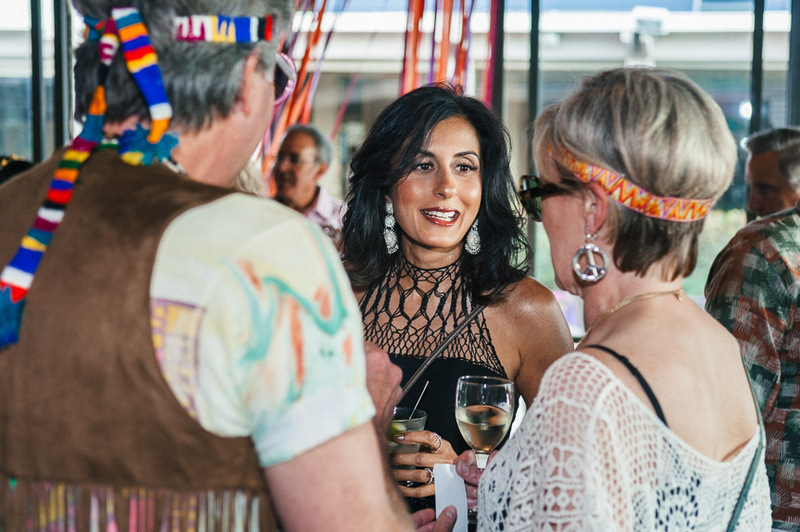 The lively, 60’s-themed Parents’ Association auction was an extraordinary community-wide undertaking that raised critical funds for capital improvements and professional development opportunities for our professional community. And, there are a myriad of ways that volunteers stepped up to lend valuable support to the everyday workings of our school, from classroom activities and the All-School Fair to admission and advancement efforts. The remarkable level of generosity and commitment across our community is something to behold! As of June 30, 2017, the value of the Head-Royce endowment was $19.5 Million, which reflects an overall annual increase in the value of the endowment of 8.34% over the previous year. 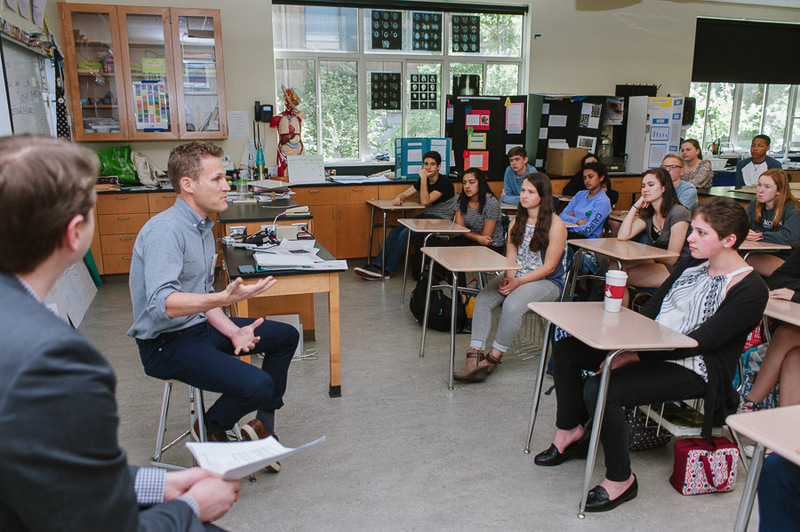 Philanthropy is foundational to Head-Royce School. For 130 years we have been a beacon of academic excellence in the East Bay, with mission-driven programs, facilities, and faculty all made possible through the generosity of our extended community. In the 2016-2017 school year, once again Head-Royce parents, alumni, employees, grandparents, parents of alumni and friends joined together in support of our school. Your generosity set new records in Annual Giving, with over $1.5 Million in donations to directly support the student experience, and our endowment has grown to an all-time high, exceeding $19.5 Million. Collectively, these funds ensure the strength and vibrancy of Head-Royce for today's students and for generations of students to come. Thank you for supporting Head-Royce! It was our pleasure to serve as Annual Fund Co Chairs. Thanks to the outpouring of support from our community - parents, alumni, grandparents, parents of alumni and friends - the 2016-17 Annual Fund was incredibly successful, raising the most money in Head-Royce history - $1,529,302! Unrestricted, flexible Annual Fund dollars support everything from competitive salaries and benefits for our faculty to student scholarships, innovative curriculum, the arts, and athletics. Your support allows us to provide an exemplary educational experience for all students and we are deeply grateful to you for making Head-Royce a philanthropic priority. One of the ways we are able to achieve high levels of parent participation in the Annual Fund is through the hard work of a dedicated team of volunteers. A special thank you to Coley Florance 87’, Eva Camp, and Jen Friedman for co-chairing the Annual Fund and leading our volunteer team. Click here to view the full team roster. We are incredibly fortunate to have a community of parents who enthusiastically support the Annual Fund. With the help of our Annual Fund volunteer team, over 86% of current parents generously participated in the 2016-17 Annual Fund, donating $1,059,941; 69% of all dollars raised! We are deeply grateful for your commitment to our students and teachers - thank you. to Head-Royce because the Head-Royce community has given so much to us. From the administration, faculty, and fellow student families, the Head-Royce community has and continues to provide an environment in which students thrive, are engaged and excited to learn. We continue to give to the Annual Fund because it supports teacher development, innovative curriculum, financial aid and scholarships. The Professional Community is one of the hallmarks of the Head-Royce community, nurturing our students from Kindergarten to 12th grade and instilling in them a lifelong love of learning. Thank you for once again enthusiastically supporting the Annual Fund! Over 95% of the Professional Community participated by making a gift to the Annual Fund. Special thanks to Will Adams, Jen Brakeman, Kristi Farnham Thompson, and Deirdre Williams ‘80, for chairing the Professional Community “Share the Love” Annual Fund campaign. Grandparents, past parents, and friends are an important and vibrant part of our community, and we are grateful to the over 200 of you who demonstrated your commitment to our students by making an Annual Fund contribution. Collectively, you donated $69,510 and made a deep impact on the Head-Royce community. and taught by teachers who are life-long learners and masters of their craft. It is our responsibility as grandparents to do what we can in support of the Annual Fund to continue the legacy of the school – for our own grandchildren as well as future generations. Our three children, Jacquelyn, Ariane and Bradley, received more than an excellent education from Head-Royce - from the close friendships, strong bonds with superb faculty and connections to the greater Oakland community, it was more than we could have asked for. We are pleased that the Chee Family Scholarship continues to ensure deserving students can attend Head-Royce School and receive an excellent education, regardless of their financial circumstances. These gifts are made to recognize or commemorate a member of the Head-Royce community. We thank donors who honor or memorialized their classmates, friends, teachers and loved ones through gifts to the school. The Anna & Josiah Legacy Society is for members of our community who have made Head-Royce School a part of their estate plans. We gratefully acknowledge and honor the generosity of these individuals. Bequests, large and small, offer a significant source of support to Head-Royce and make a lasting contribution to the school. We set up our plan for giving to honor what has been so important in our lives: our children Alison Epstein Trujillo ‘97 and Ben Epstein ‘01, who benefitted greatly from their HRS education. We have both been blessed with wonderful colleagues in our respective workplaces over a period of nearly 40 years--Catherine as a teacher and administrator at HRS and David as a psychiatric social worker and administrator at Canyon Manor Residential Treatment Facility. Giving back is a way for us to acknowledge the importance of both excellent education and comprehensive mental health care in our communities. In 2016-17, our alumni community was exceptionally generous in supporting the Annual Fund and raised 8% more than the previous year. We are grateful to our alumni for these generous contributions, which allow Head-Royce to continue to provide exemplary educational opportunities for our students. I give because I have fond memories of the years I spent at the school and I want it to keep on going. I’m grateful that I got to go there. It changed my life. Thanks to your support, the PA fulfilled its goals of building community, supporting the school's mission, and enriching the HRS experience for students and their families. With your generosity, the Spring 2017 fundraiser, VIBE: Share the Experience, was a record-breaking success and allowed the PA to make meaningful contributions to support the Strategic Plan and the HRS community. The PA invested in faculty professional development, scholarships, Heads Up, and capital gifts that immediately benefited our students, including the renovation of the tennis courts, a makeover of the outdoor sports courts, and robotics kits for every division. The PA is honored to work with such an engaged parent community in support of the School. Share the Experience was an amazing evening that highlighted our community, all to benefit Head-Royce! We are deeply grateful to the event committee and the generous contributions our community made, whether it was in the form of live, silent, or online auction items, a paddles up for Professional Development, or a bottle of wine for the cellar, we could not have done it without you! Over 120 Heads Up students thrived during the 2016-17 school year! We welcomed 30 new students in the 6th grade and said goodbye to 22 8th grade students at the end of the summer. Serving underserved Oakland public middle school students, the Heads Up Program was established in 1987 to provide an educational program focused on developing academic success and an appreciation for community and civic engagement. With a cost of approximately $3,000 per student, this program would not be possible without the generous support of our community. Thank you for investing in these bright young students. The growth I have experienced for the past three years in math, humanities, and the Success is Now course at Heads Up have helped me develop methods to succeed during the entire school year. When I return to my school in the fall, I can always tell how much I learned at Heads Up because I already know what to do and how to answer the questions. When I entered this program in 6th grade, I was a little shy, but the more I learned and the more I talked to other students and teachers, the more I saw that I could succeed. Heads Up has been the best time that I’ve ever had. I became friends with almost everyone right away. Even during hard times I’ve had this summer, Heads Up is the best and has actually made school really, really fun for me. In February of 2017, the Nia committee assembled a fabulous panel of local experts who discussed breaking barriers in the technology industry. Executives from Apple, Google, Salesforce, fitbit, slack, Sphere 3D, Qeyno Labs, and Keiretsu addressed a packed auditorium full of parents and students. Moreover, it was a true honor to be joined by Mr. Roy Clay Sr., a technology pioneer and legend in the Silicon Valley. Head Royce parent Brock Williams, Country Merchandising Manager at Apple, Inc., moderated the panel. The panelists shared their journey of venturing into the tech industry and the many career options that are accessible today. We learned so much from our panelists about their experiences. They shared that tech not only includes coding but developing, creating, training and even advocacy. They imparted great advice to our students and guests about the basics of studying hard, staying focused and being engaged. Their message of unlocking the color code resounded clearly: network, explore every opportunity and take risks. People of color have blazed a path for the next generation to break into this industry. Now, it is incumbent upon young people to not just take the next step but to leap forward. It was a powerful and impactful evening that resulted in an internship for two Head-Royce seniors to get hands-on experience in the technology field. It was a tremendous celebration of Black History Month. Whether you are a parent or guardian, alumni, grandparent, or friend, thank you for your volunteerism at Head-Royce! Your contributions of time and talent to projects and events with the Parents’ Association, Heads Up, Admissions, Alumni Council, Annual Fund and in the classroom help bring our community closer together and make Head-Royce a place where students can thrive, knowing that many people are involved in the effort. For more information about giving to Head-Royce, or to renew your support, please click here. Video footage by 510 Media.